With Spring upon us, I've been thinking about clearing out some of the clutter and it has enabled us to be quite creative in the process. 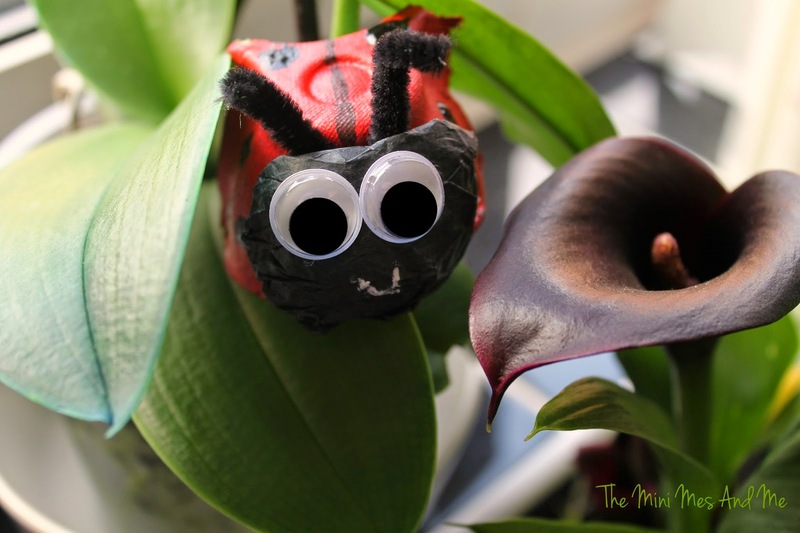 All of the packing from various things can easily be transformed into something fun for the Mini Mes and these Ladybirds are an example of that! They are rather cute and so simple to make all while using up old egg boxes from the recycling tubs. Your little ones could make an entire family too just like we did. Use the scissors to divide the egg box into sections. Each section will make 1 ladybird. Paint them red (or an alternative colour if you wish) then add the spots and any other detailing you would like then leave them to dry. This doesn't take too long. 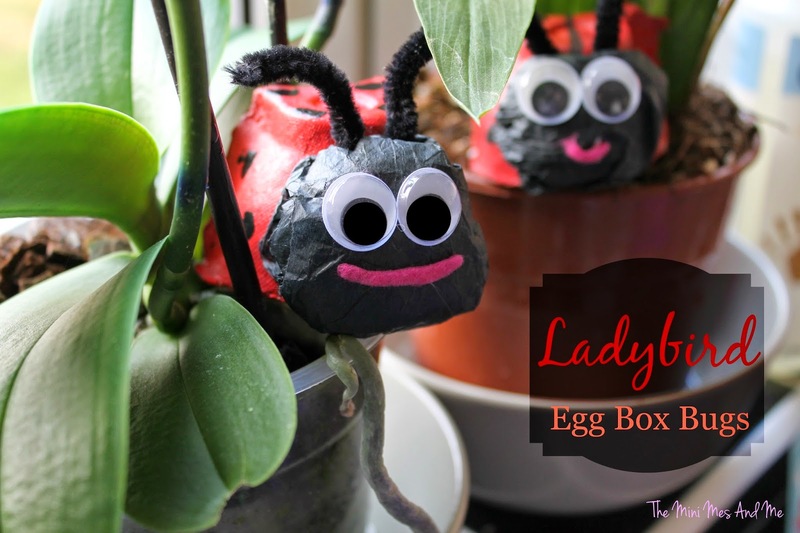 Attach a pompom/tissue paper ball to the front of the egg box section with glue to represent the bugs head. 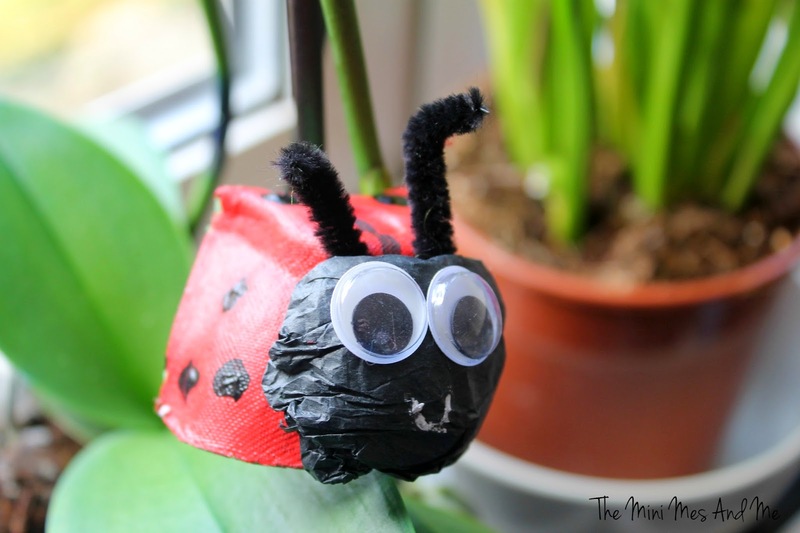 We used some fabric strips to make mouths but you can paint these on too. Glue on the eyes and pipe cleaners and you are ready to play! These would look great in the garden to bring some interest and colour to grass or soil. You could even pop a few in plant pots - ours are currently in my Mother's Day Orchid and Calla Lilies! Have you tried using egg boxes to make something? I love this idea for over the Easter holidays. Those are really cute, what a good idea. Ours worked really well - thank you! Awww how cute! I'm bookmarking this for the summer break! THese are brilliant, my daughter would love to make them! Those are really cute, I think we'll be giving this a try. Going to have a go of these today as it's wet outside, so we will have some fun. so cute - I might give my old mum a fright and stick one on the roses!